« Get Your Free LinkedIn Grade Now! 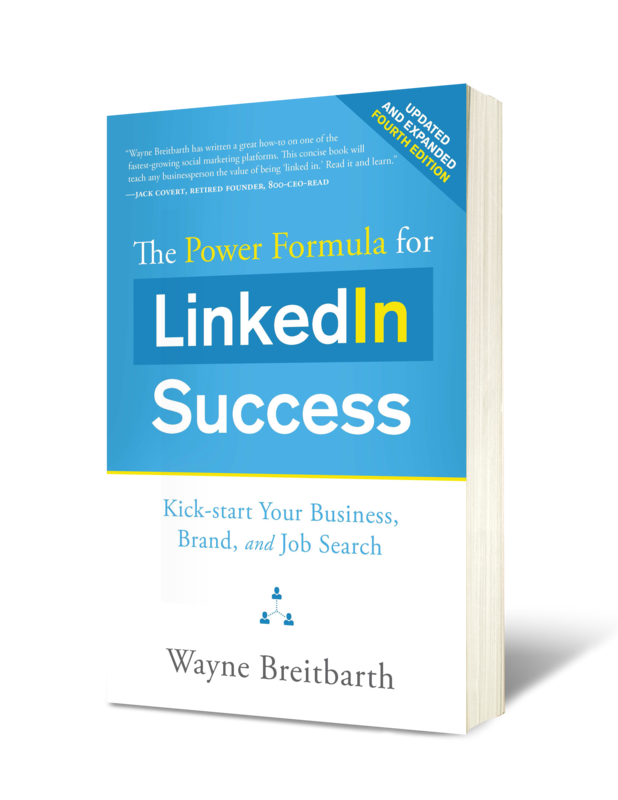 Do You Know the LinkedIn Business Growth Formula? "I have been on LinkedIn for a long time now and still can't say that it has led me to any new relationships that have generated any new business." I hear comments like this all too frequently when I meet with new consulting clients or speak at conferences and corporate events. 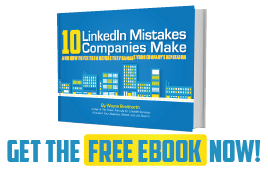 LinkedIn is the largest database of decision-makers on the planet, but the majority of businesspeople have yet to figure out how to make money with it. 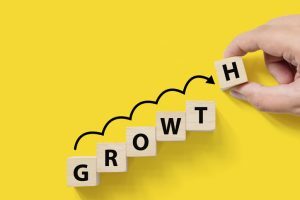 That's why I created The 5 C's: Using LinkedIn to Grow Your Business, and I've been sharing this proven strategy with my clients for the past five years. I will be sharing this step-by-step process at my LinkedIn Extravaganza events this fall in the Midwest (click here for schedule and registration) and also at the Industrial Inbound Summit 2018 on October 3 in Milwaukee (use discount code WAYNE25 to save $25 off your registration). 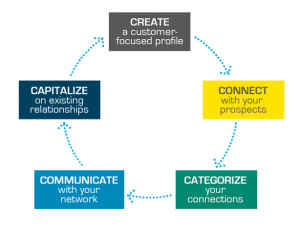 But here is an overview of the 5 C's along with some of the specific Linkedin steps/features that you can begin implementing in your business right away. Use special profile sections and add media to your profile Summary and Current Job Experience sections to highlight your area(s) of expertise. Add your preferred contact information in your Summary and Current Job Experience sections. Include calls to action throughout your profile to encourage readers to engage with you. Use Advanced People Search, Company Search, Alumni, Groups, People You May Know, and Who's Viewed Your Profile to find new prospects. Use a five-star invitation to reach out to potential prospects. Include where you met (if applicable) and/or how you could help each other. Always be on the lookout for quality connections. The larger your network, the more opportunity for business growth. Download your connections database. You can then filter and sort the names for use outside of LinkedIn. Consider upgrading to one of the premium LinkedIn accounts to receive additional profile sorting and saving options. Stay in front of your audience by making daily status updates and publishing long-form articles. Use direct messaging to contact your first-level connections and fellow group members. But don't contact them too often or sell too hard or they may remove you from their network. Increase your exposure by engaging in group discussions and "liking," sharing or commenting on other people's status updates. Connect with all of your existing clients/customers. Search their networks to find out who they know. Get referrals, recommendations, and endorsements. It's easy—just ask! To learn more about how the 5 C's formula can help you grow your bottom line, mark your calendar now and attend the Industrial Inbound Summit 2018 in Milwaukee, Wisconsin on October 3 (use WAYNE25 to save $25 off your registration) or one of my fall LinkedIn Extravaganza workshops: Grand Rapids MI (9/24), Chicago IL (10/1), Milwaukee WI (10/4) or Madison WI (10/17).